Keywords: Neuroscience of Learning, Neuro-electrostimulation, Neuroplasticity, Learning Difficulties, Attention. indicators and parameters of the human personality. emotional displays (Hickok and Small, 2016). Kublanov V., Petrenko A. and Nabiullina A. Correction of Attention in a Learning Ability Task with using Non-invasive Neurostimulation of Peripheral Nervous System. parameters of the learning process. device is shown in Figure 1.
partial current pulses from 1 to 200 Hz. plexus and having in its composition afferents. structures location in the neck. glossopharyngeal nerve (Kublanov et al., 2015). pathways are located in the neck. (Moore et al., 2013, Netter, 2014). 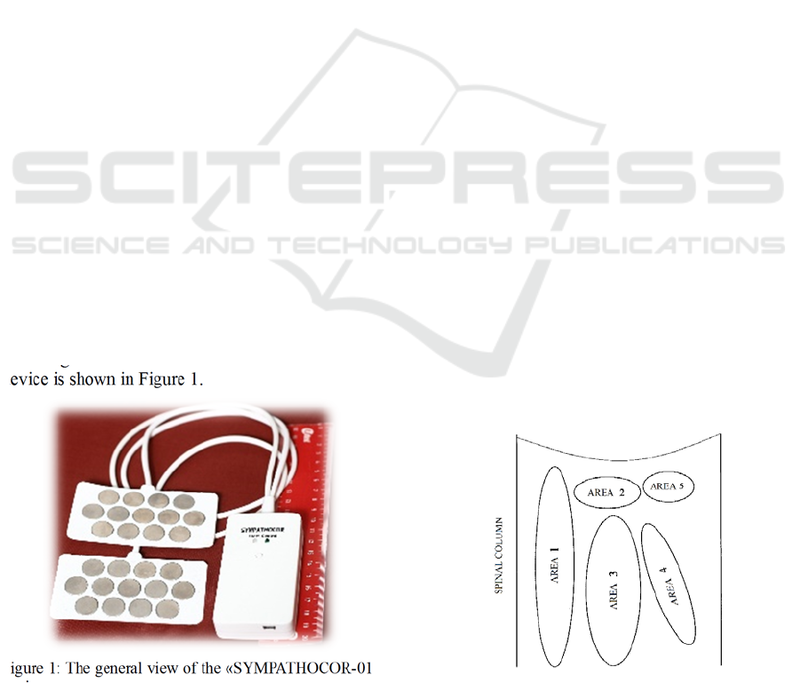 neurostimulation method (Kublanov et al., 2015). law (Kublanov, Petrenko and Babich, 2015). 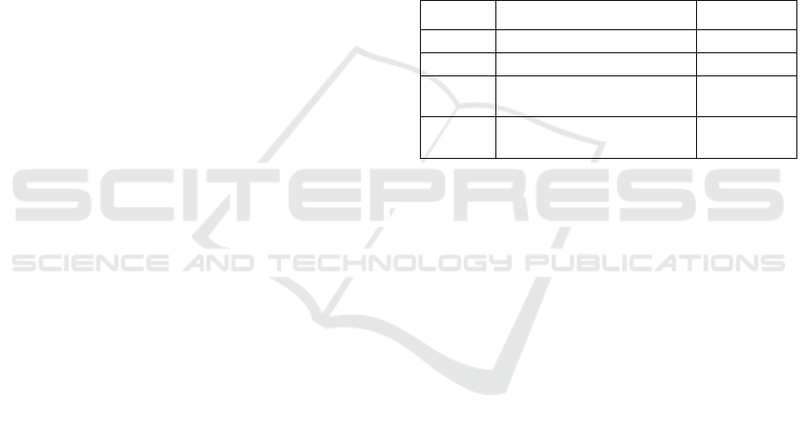 with the protocol number 8 on October 16, 2015.
diagram of the experiment is shown in Table 1. № stage Name of stage Duration, min. estimation of attention parameters (Brunner, 2006). especially in learning activities (Karpenko, 2008). between the of mean values by comparing variance. the variables obtained in the course of study "before"
study with the noted standard deviation. "before" and "after” correction procedure. characters "before" and "after” correction procedure. values in the third stage of the study. stages of the study with the noted standard deviation. components at each stage of research. 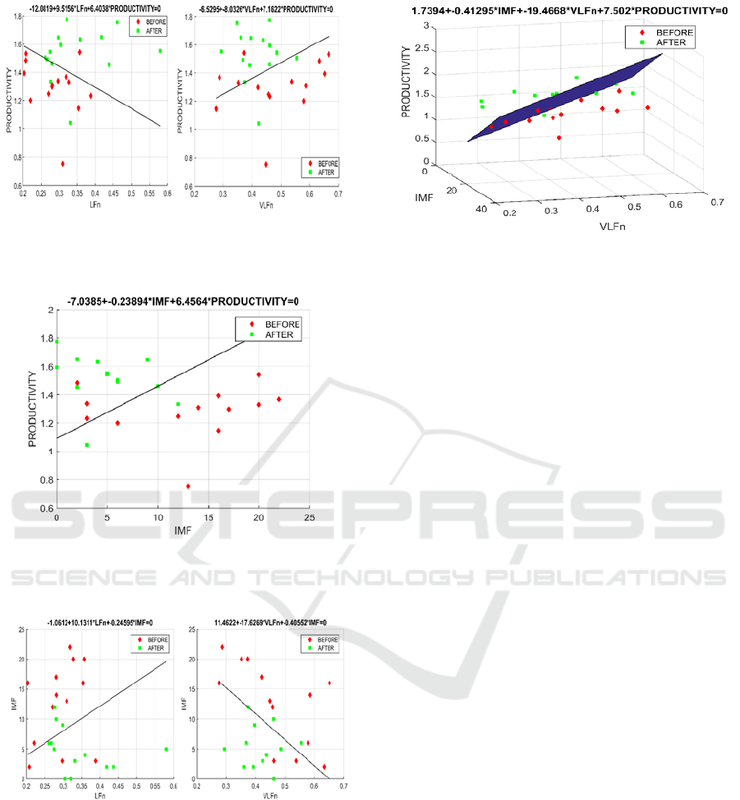 The results are shown in Tables 2-3.
step analysis algorithm was used to make the analysis. to the discrimination states of participants "before"
IMF in the groups "before" and "after" correction. components in the groups "before" and "after" correction. variables were chosen for discrimination. 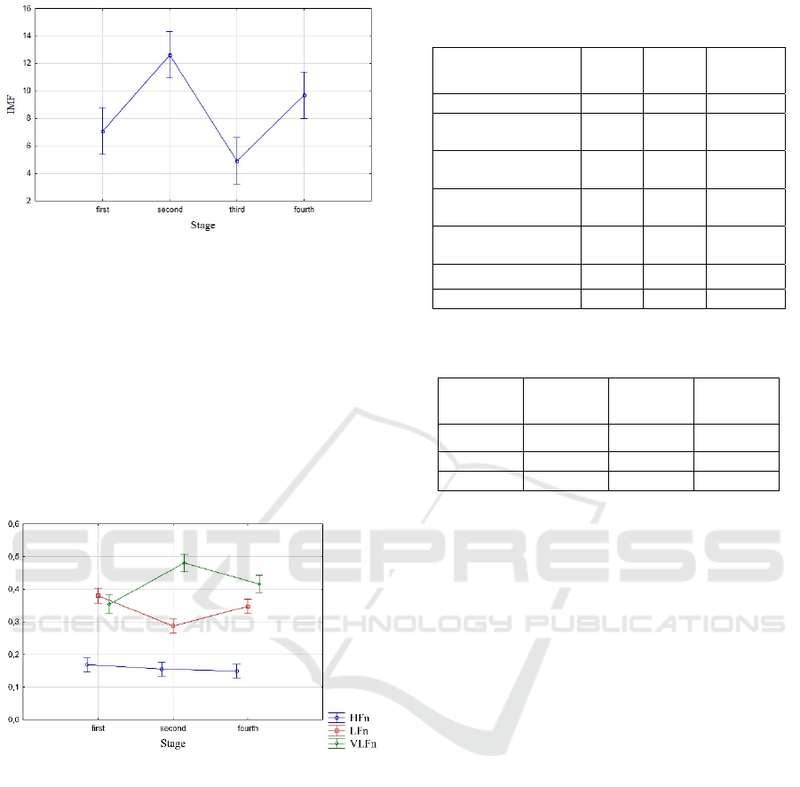 The results are shown in Figures 8-10.
equation are shown in Figure 11.
electrostimulation correction procedure is 88,5%. number of characters scanned up 26%. function was built for states of participants "before"
mechanisms underlying human cognitive activity. the Russian Federation, contract № 02.A03.21.0006. Brunner Y.Y., 2006. Better, than Superattention. Feniks. 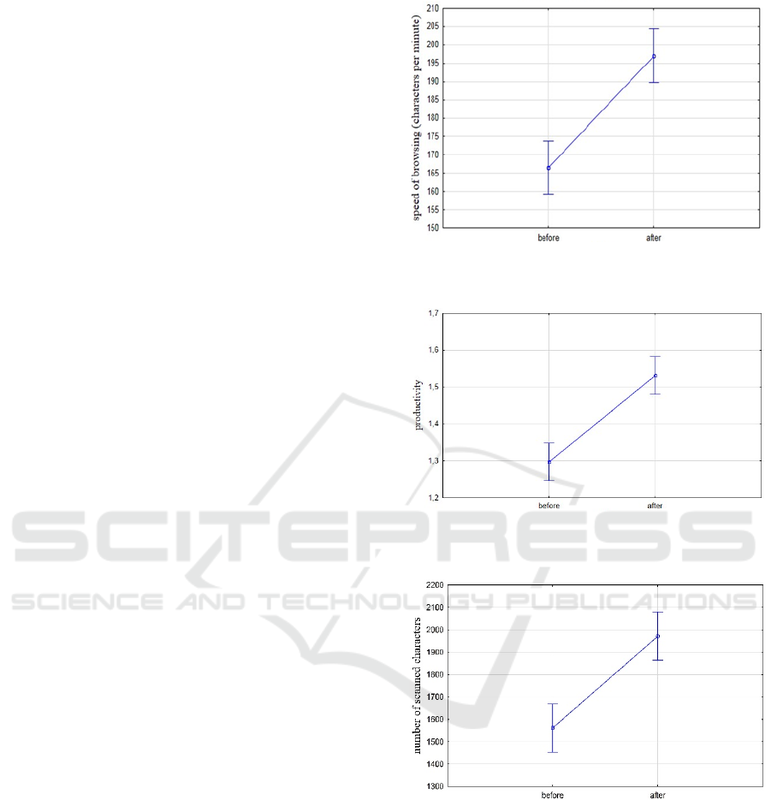 Danilov, Y.P., Kublanov, V.S., Petrenko, T.S., et al., 2015. 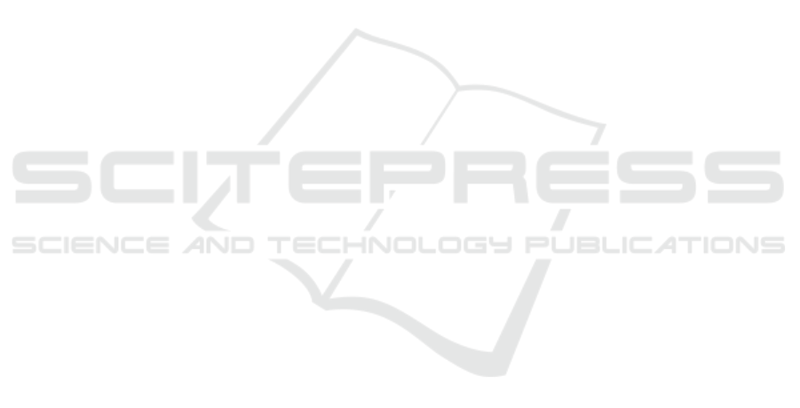 Engineering Systems and Technologies. 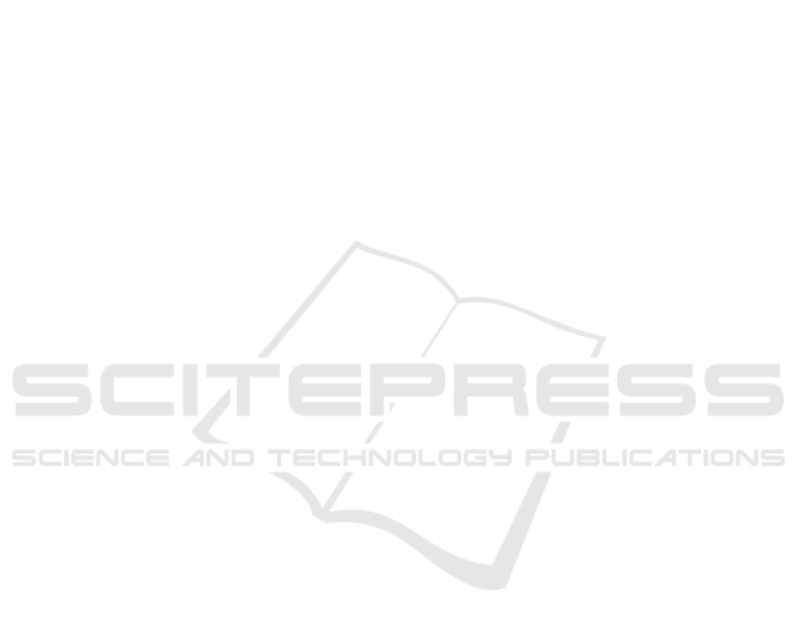 SCITEPRESS. Karpenko, M.P., 2008. Teleobuchenie, MUH. Moscow. electrostimulation and device therefor. Patent RF, no. Biomedical Engineering, 42 (4), 206–212. neurology, Kremljovskaya Medicina J., 4, 60–64. Leonova, А.B., Velichkovskaia, S.B., 2002.
learning, The Royal Society. London. Zhivolupov, S.A., Samartcev, I.N., Syroezhkin, F.A., 2013.